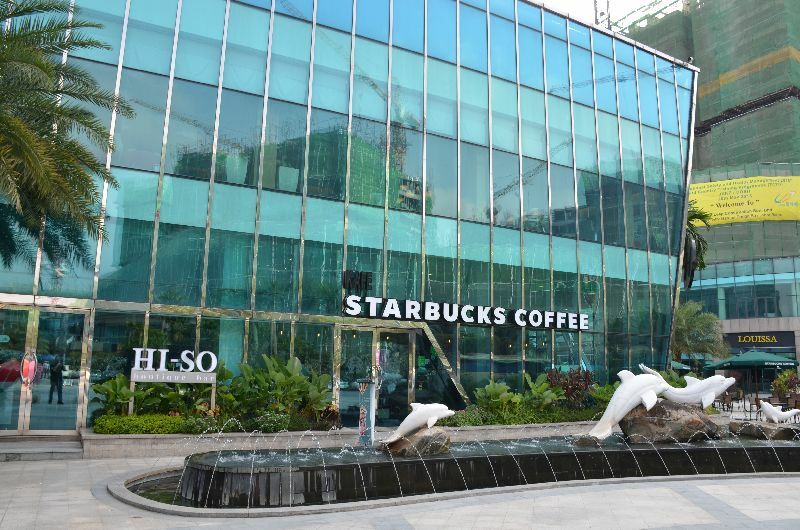 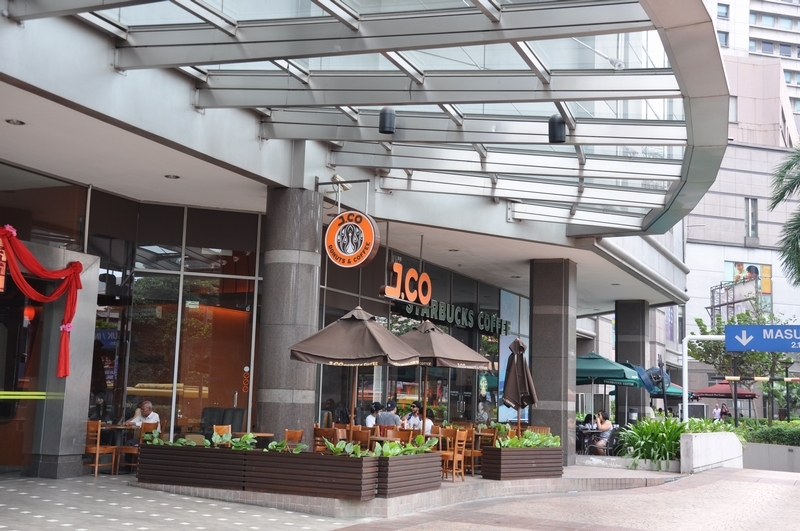 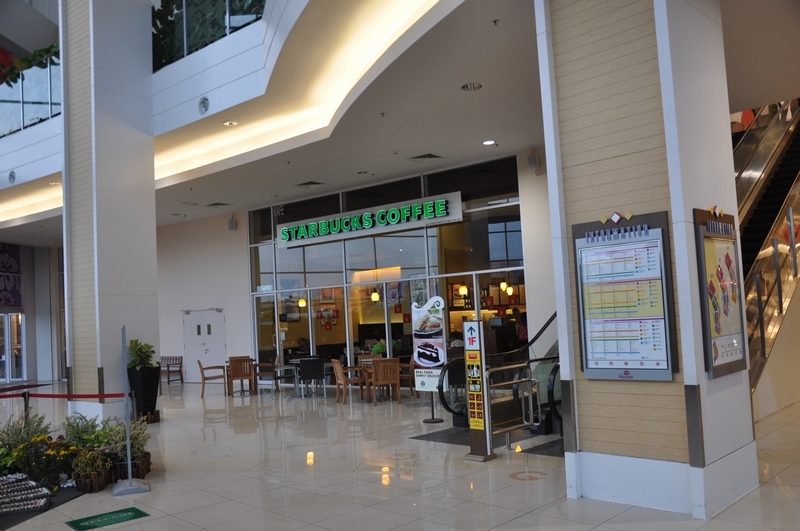 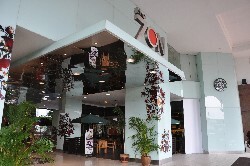 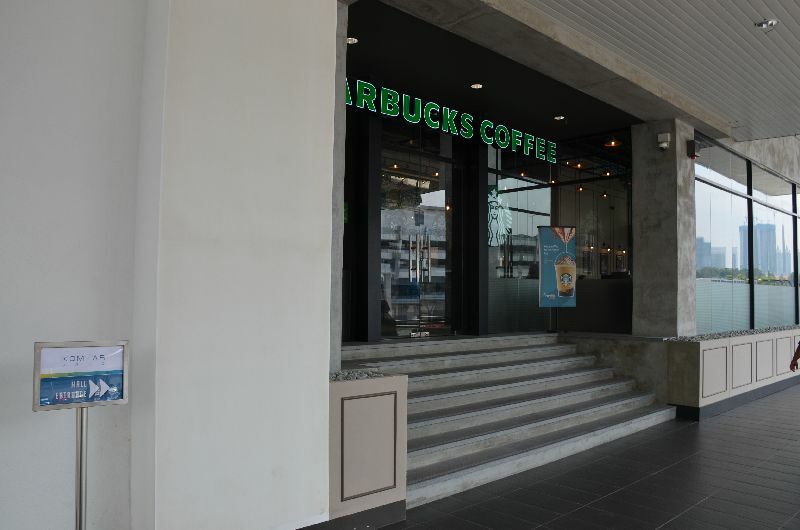 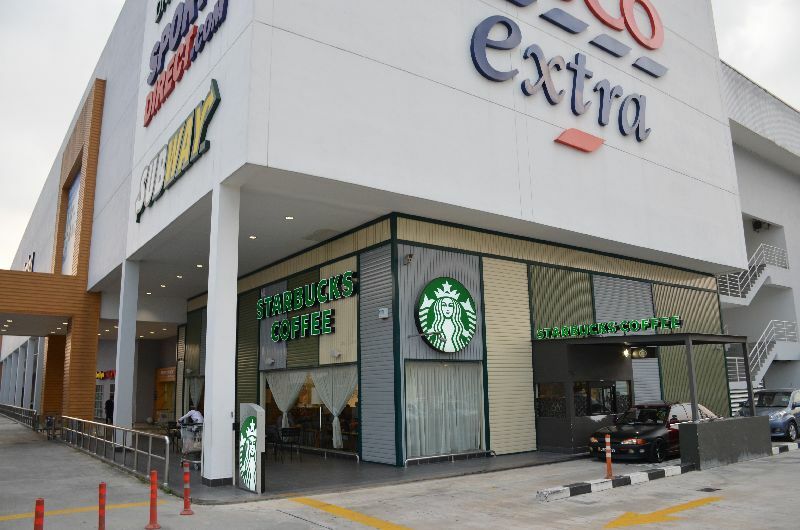 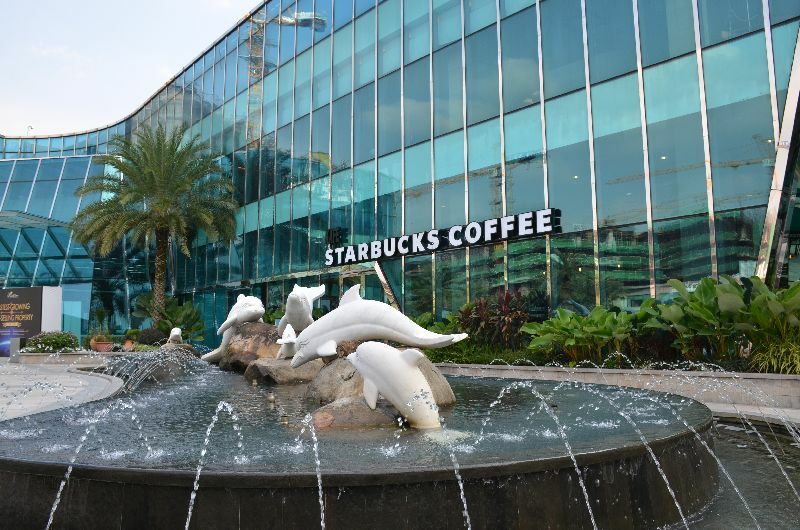 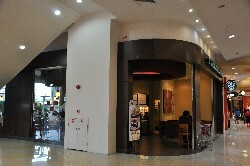 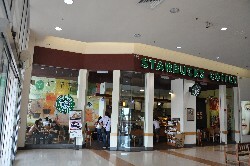 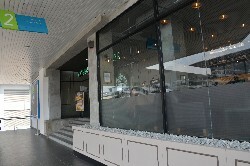 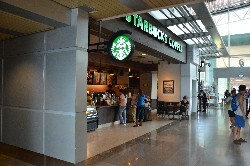 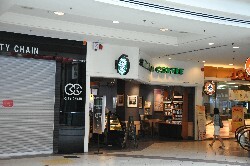 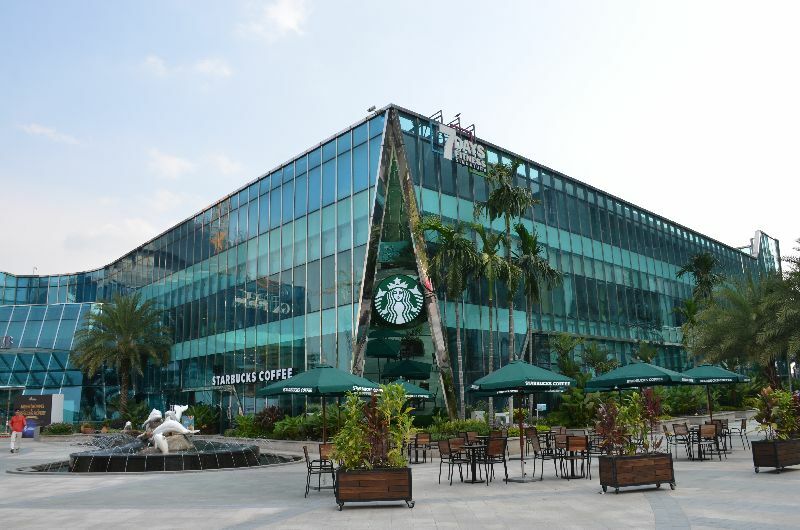 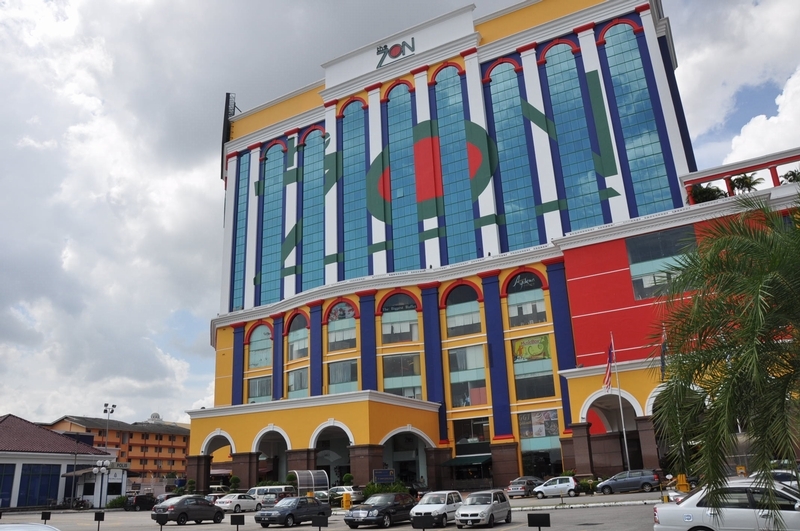 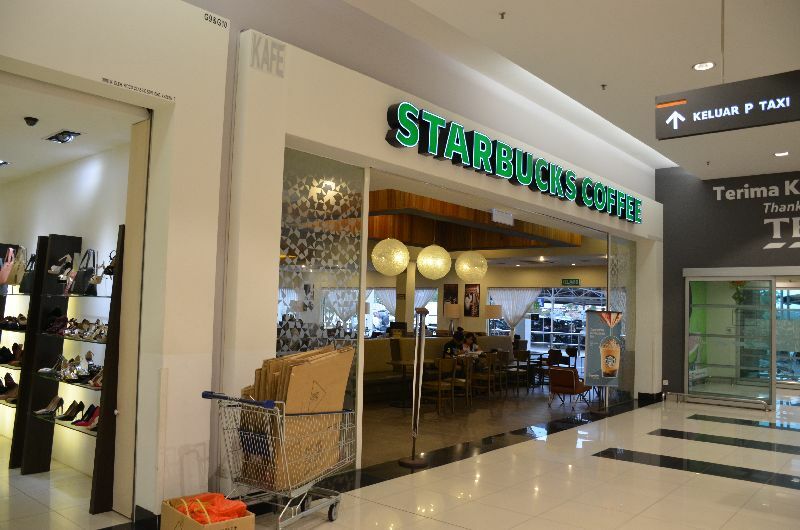 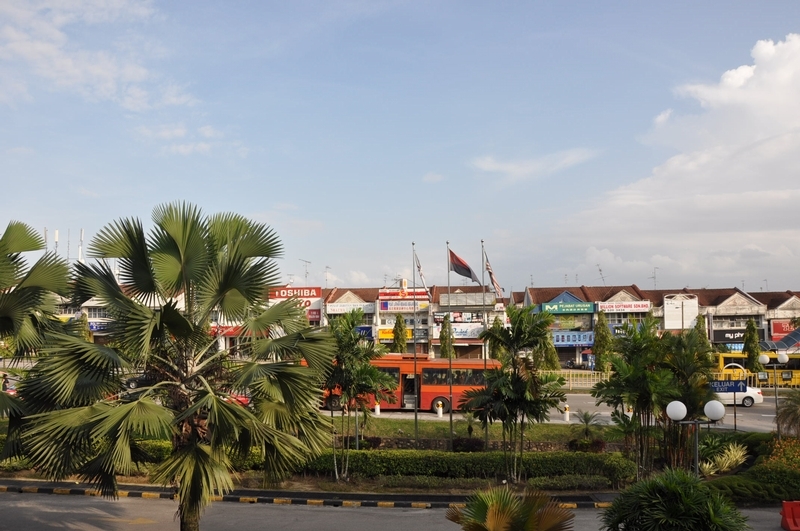 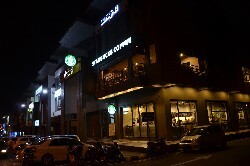 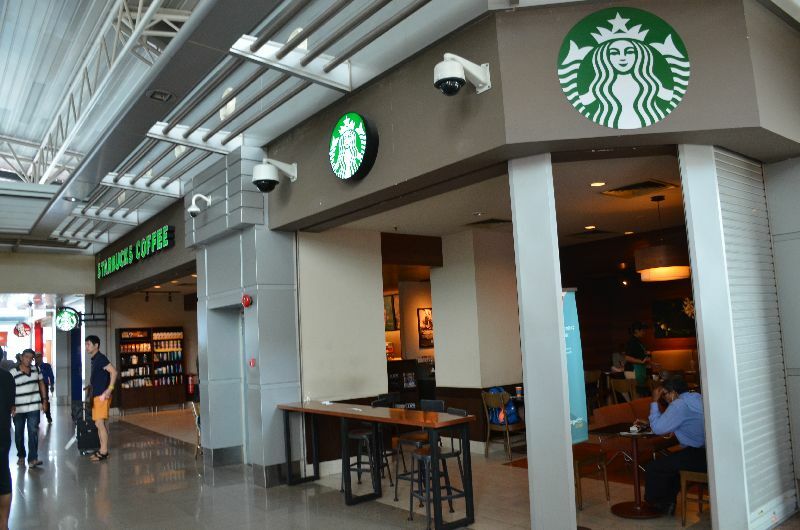 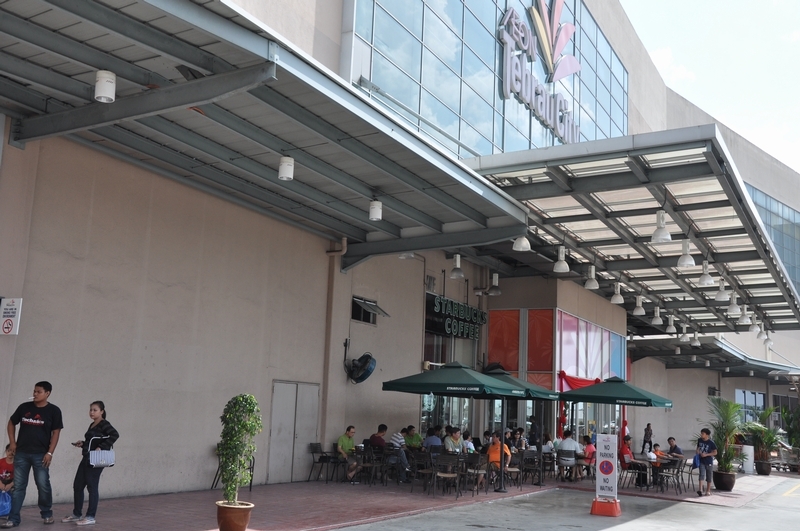 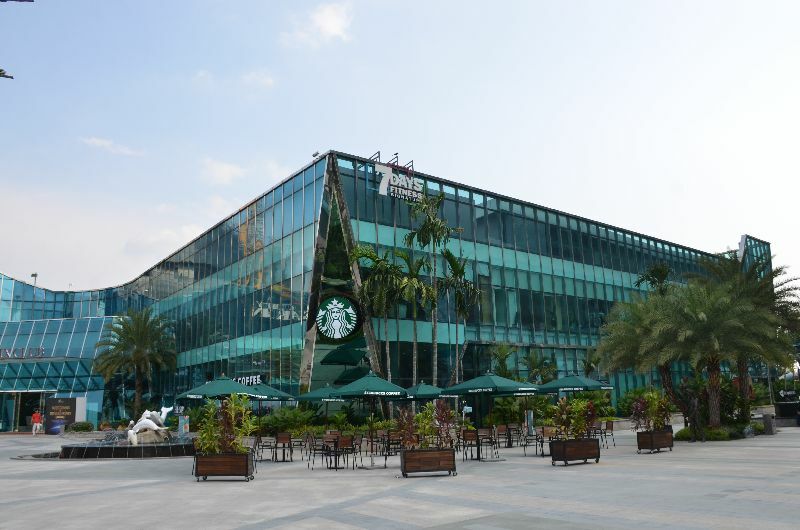 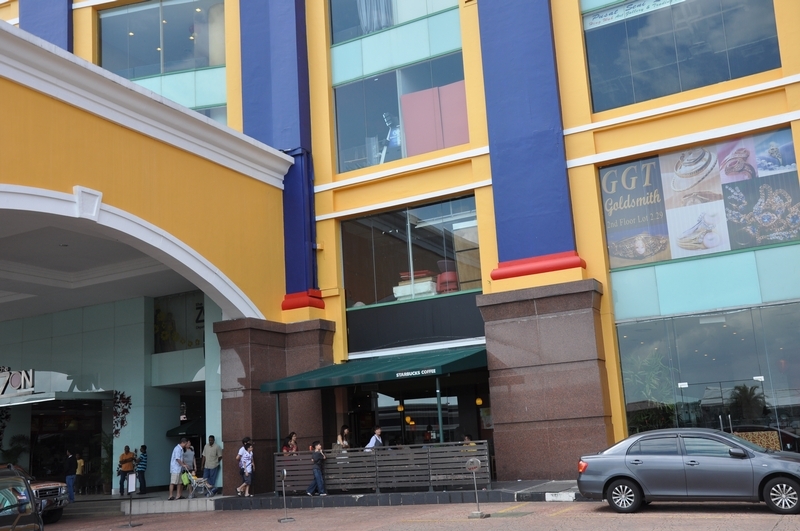 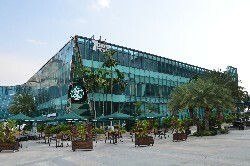 The first Starbucks I visited in Malaysia! 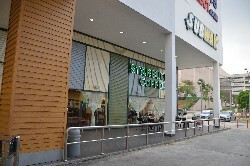 Ooh, a drive-thru--maybe the first I've seen in Asia. 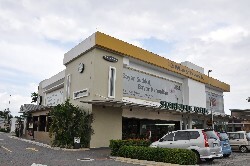 Right next to the strait, so you can see across to Singapore. 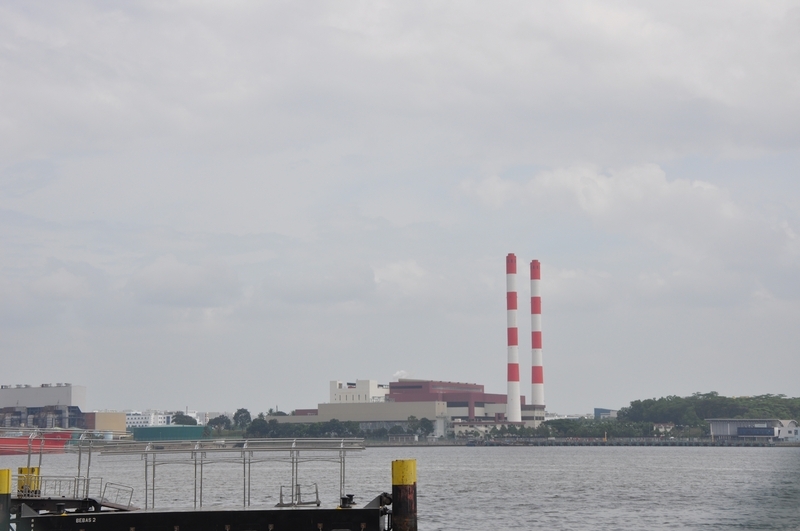 Click more to see... a power plant.